Should you Crate train your Cavalier King Charles Spaniel? Home » Spaniels » Cavalier King Charles Spaniel » Should you Crate train your Cavalier King Charles Spaniel? Are you the proud new parent of a Cavalier King Charles Spaniel? If so, salutations are in order for taking on the duties of being a responsible new dog owner. If you’re like the majority of new parents, then you probably have a plethora of questions. What do they eat? How much exercise? Socializing? Healthcare? Training? The list goes on and on as you go. One common question is should you Crate Train Cavalier King Charles Spaniel dogs? As your pup enters their new abode, be prepared for its surplus of energy, including the wake of their puppy destruction. Be sure to puppy proof your home prior to their arrival and get ready for a curious explorer that will surely find their way into puppy mischief. It’s recommended that you start crate training your Cavalier immediately after bring them home to ensure a mentally stable and physically healthy pup moving forward. You might think crate training comes with it’s controversies. Is it cruel and fair to a dog? Is it a barbaric method of training? But rest assured, if implemented correctly, you and your Cavalier will reap the rewards. 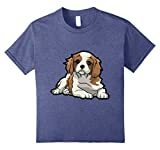 We certainly think it is an excellent idea to Crate Train Cavalier King Charles Spaniel puppies. The facts are you’re going to experience both moments of joy and frustrations as your Cavalier progresses through their training regiments. Keep cool and be patient, don’t create unnecessary stress and anxiety for you puppy. It’s vital that you use this crate training method as an obedient training tool, not a disciplinary action. Crate training puts to use the Cavalier’s natural instinct to find a protective shelter in which to sleep. The concept is to make the crate your Cavalier’s safe place, a place which they’ll associate only pleasant things. Proper crate training will help decrease the puppy’s stress level and because of the Cavalier’s instinct not to soil their own nest. The crate is a great tool for potty training as well. The controversy of crate training isn’t cruelty like some people argue. The true downside lies on the owner’s inability to use this method of training correctly. Crate training isn’t meant to be a place to confine and punish the Cavalier. This stands against the main principle of associating strong bounds between positive emotions and the crate. Now that you’re committed to crate training, lets focus on a few standard procedures that should help you and your Cavalier get off to a wonderful life together. Selecting the proper crate size is simple. You want a large enough crate so your Cavalier can stand, sit, lay and stretch. 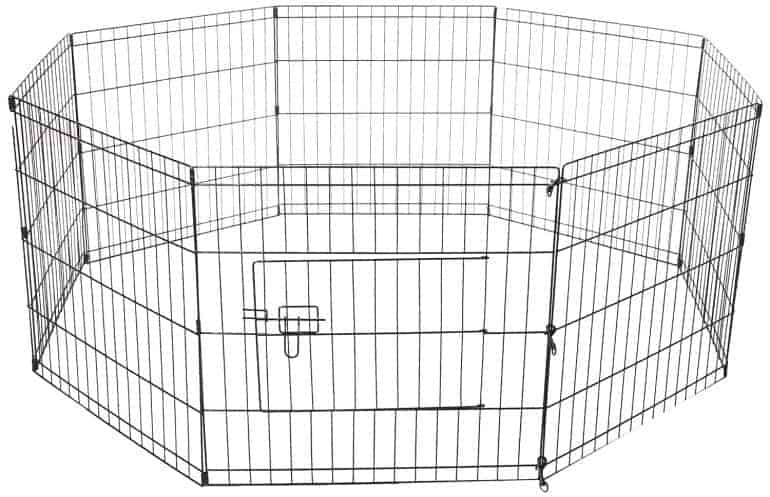 If the crate is too large your pup may designate one area of the crate for a bathroom and the other for resting. This ultimately creates bad habits and defeats our purpose of our training. When purchasing you’ll find many options from plastic, wire, wooden, even cardboard. Lets review some of these basic options. Constructed of a hard plastic shell with a locking wire caged door. 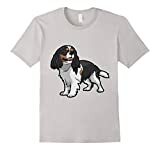 These are an essential must have for any Cavalier King Charles Spaniel owner. They are ideal for transporting your pup to the vet. They are also compliant with most airlines making this a great option if you plan to travel with fido. Constructed of hard wire mesh and can’t be chewed through or destroyed by puppy mischief. 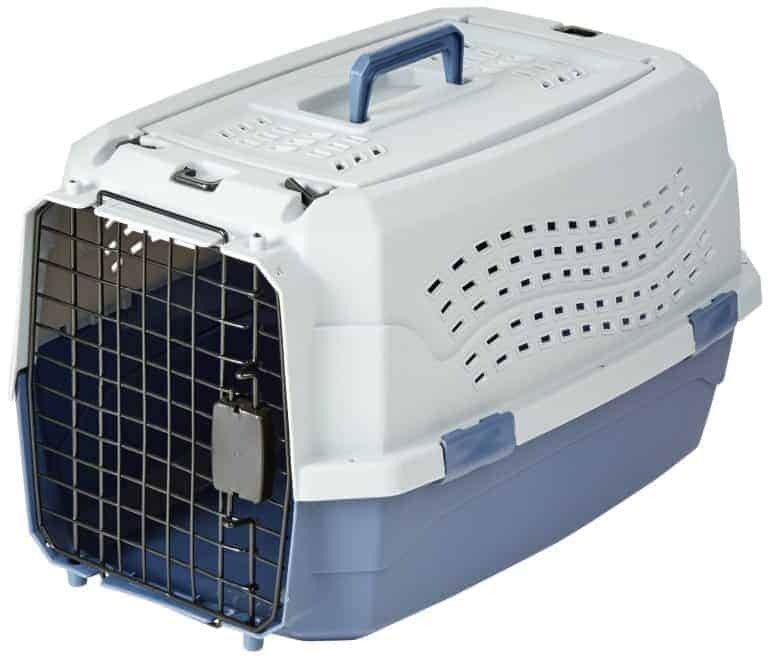 The positives of this crate are that it’s the least expensive option and enables the dog to have a 360 degree vantage point. This viewpoint could also be considered a negative however. It deprives the Cavalier of that protective shelter feeling they seek to experience in a cozy den. A hard wire mesh pen with only four walls, no attached roof or flooring with this option. A good option for young puppies when they are small, and developing. However, once adult dogs reaches their peak strength, then this pen becomes easily movable across floors and even flip over. Though in this case with a Cavalier, it shouldn’t be an issue. It is important to remember that crate training is a beneficial reward for both you and your Cavalier. It should be used a training tool, a dogs psychological safety zone, and not a tool for disciplinary action. You want your pooch to find comfort and peace within their special place, not anxiety or pressure. As a responsible pet owner, you will find that crate training will produce a well trained, loyal and obedient buddy for life. Taking care of your little monster with routine exercise, discipline, and affection will pay dividends resulting in a life time of joy and happiness for the whole family.